New boys on the block Huddle Hammersmith opened in October 2018 and are looking to support the growth of local businesses and start-ups of all shapes and sizes. At Huddle we offer different workspaces designed with your work lifestyle in mind. 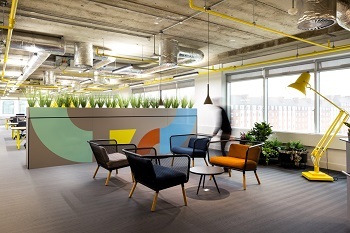 From collaborative coworking to private offices and quiet break-out areas to formal boardrooms, Huddle will flex to suit your business demands. Come and visit us, we are just 200 meters from Hammersmith Underground at 3 Shortlands.